If you’ve never lived away from your parents’ home, then you might not be aware of all of the dangers that your parents worried about for you. Before you move away to attend university, you should be mindful of the potential pitfalls of living away from home and making your own decisions without your parents there to guide you. 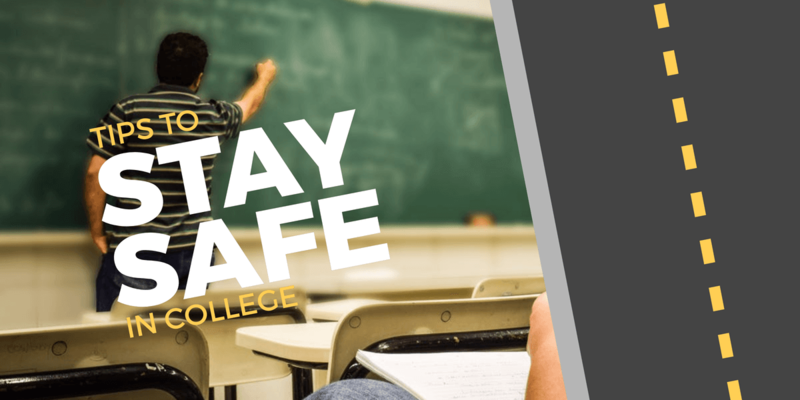 To give you a taste of some of the most pressing safety concerns for university students, here is a list with a few best practices for staying safe. It’s not uncommon for university students to either eat unhealthy foods or eat too little. In the past, maybe your parents encouraged you to eat fresh fruits and vegetables. But because university students are often busy, and because many housing accommodations don’t offer access to a full-size kitchen, it can be difficult to plan healthy eating habits. Convenience food can be a temptation when you’re busy, but it’s also usually not the most healthy option. It can lead to weight gain, undernourishment, or fatigue. To avoid this pitfall, track your nutrition intake and develop a healthy routine at the beginning of the semester. The dangers of distracted driving can’t be overstated. As a teenager, it’s likely that your parents monitored your driving habits. But university students who are living on their own must now be aware of the decisions that they make while driving because car accidents have a number of causes. Distractions come from many different sources. New friends in the car, cell phones, and thoughts about other activities that need to be done can all be sources of distraction. To minimize the sources of distraction, become acquainted with people before you decide to allow them to be your passengers, silence your electronic devices while you are driving, and ensure that you are concerned about your driving, not your paper that is due. University campuses are set up with safety in mind, but negative things can happen on even the safest of campuses. It’s common for university students to walk to their car or housing after night classes, but being aware of your surroundings and using your resources will protect you from becoming a target. If it’s dark outside, you can walk in groups, enlist the help of a university safety walk program, and become familiar enough with the campus to know where to go for help if you feel unsafe. University life can pose many challenges for new students. Transitions can be difficult. But if you plan ahead, and if you’re aware of the things that your parents thought about for you as you were growing up, you have a greater potential to live a happy, healthy, and safe life at your new home at university.